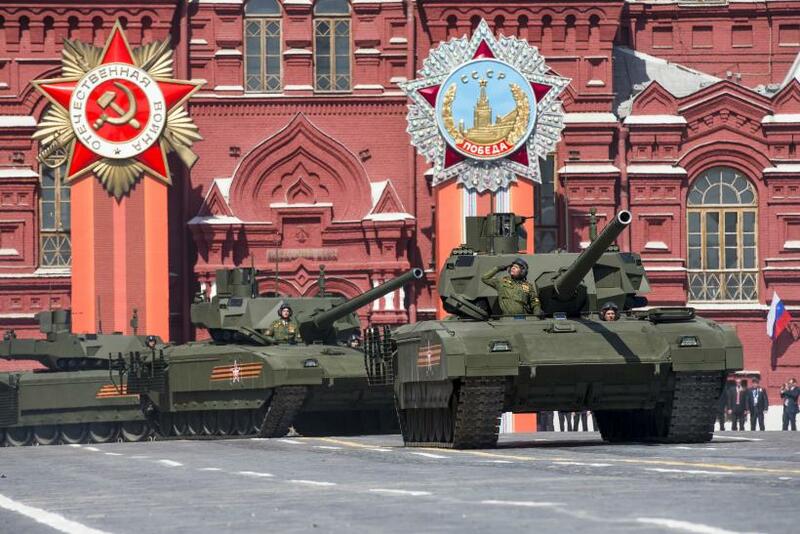 China and India were among the foreign nations interested in purchasing the new Russian T-14 Armata tank the Kremlin unveiled last month at its commemorative Victory Day parade in Moscow. Russia has touted the tank and its technological superiority for months. “To a larger extent it is our traditional partners: India, China and South-East Asia,” Vladimir Kozhin, aide to Russian President Vladimir Putin, told state-run newspaper Izvestia, as quoted by Sputnik News. Despite their interest in the Armata T-14 tank, the nations in question are “satisfied” with current agreements for Russian equipment, Kozhin added. It’s unclear if Russia will permit foreign nations like China or India to purchase the Armata, which has yet to be fully integrated into the Russian military. Held to celebrate Russia’s victory over Nazi Germany in World War II, the Victory Day parade marked the first time the Armata T-14 tank was shown to the public. Various reports said one of the prototypes stalled for several minutes during parade rehearsals. Russian officials have repeatedly touted the Armata T-14’s combat capabilities. Armed with a 7.62-millimeter machine gun and a 125-millimeter cannon, the tank’s technology purportedly includes a warning system that would identify potential mechanical issues, an automated gun turret with a manual override and protective barriers between the three-man crew and explosive materials like ammunition and fuel. Russia is scheduled to begin replacing its current tanks with Armata T-14s starting in 2020, the BBC reported. The Russian military has held extensive military training exercises around the world this year, despite objections from NATO and the European Union. Putin has vowed to modernize every facet of Russia’s armed forced by 2020, with more than 21 trillion rubles ($340 billion) set aside to facilitate the task. Russia’s Defense Ministry announced plans last month to add more than 250 military aircraft by the end of 2015.